Just got home on Sunday n there's nothing much in the fridge to cook for dinner. Lucky to have Joe at home to cook. He used what we have at home to cook an awesome dinner yesterday. 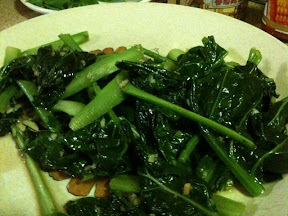 Home grown kailan stir fry with garlic n oyster sauce. 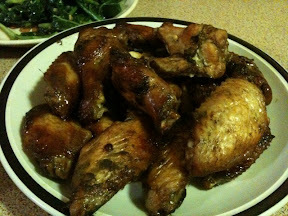 My favourite Marinated chicken wing. Was in freezer probably a month ago haha. 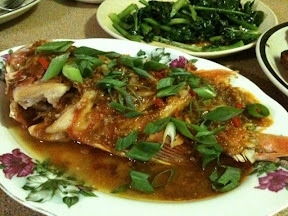 Fried fish with tomyam sauce. Fish caught by frances. Spring onion n chilli from the garden. Oh I miss my 5 weeks holiday without worrying about food for myself. I'm not used to it!!! Helppppp meeeeee!!! !